Judy Brackett's stories and poems have appeared or are forthcoming in Tule Review, The Innisfree Poetry Journal, Canary, Midwest Prairie Review, Squaw Valley Review, About Place, THEODATE, The Waterhouse Review, Sierra Songs & Descants (Hip Pocket Press), The Untidy Season: An Anthology of Nebraska Women Poets (Backwaters Press), and elsewhere. 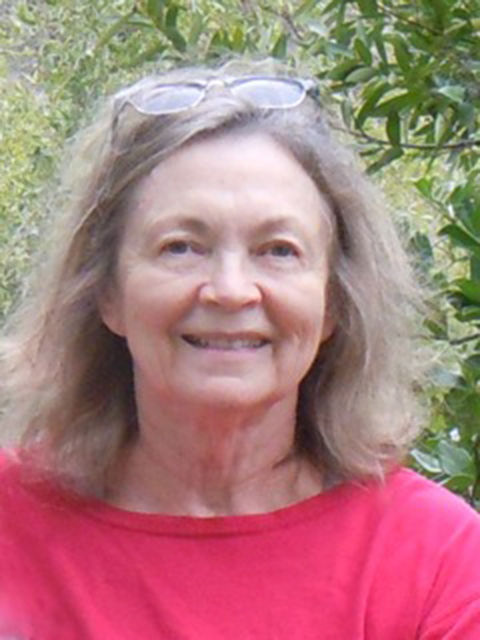 She has taught creative writing and English literature and composition at Sierra College. Born in Fremont, Nebraska, she has lived in California's northern Sierra Nevada foothills for many years. Judy is married to photographer Gene Crowe, and they have 3 children and 4 grandchildren. She believes that the right words in the right places are worth a thousand pictures, and, as other writers have said, she writes to discover what she thinks.